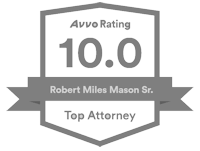 Home » Blog » Divorce Process » You or Your Attorney Should Show Up for Your Divorce Trial! 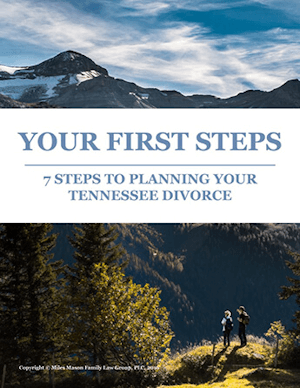 Tennessee case summary on showing up for your divorce trial. The husband and wife in this Putnam County, Tennessee, case had been married for 25 years at the time of their 2012 separation and had one minor child, 11 years old. The husband filed for divorce, and the wife also filed a counter-complaint for divorce. Both parties asked to be named the primary residential parent. The parties attempted mediation, but with no success. The case was originally set for trial in 2015, which was later rescheduled to 2016. The husband’s attorney withdrew from the case. A replacement attorney entered an appearance and asked for a continuance. That attorney then asked to withdraw from the case, but that motion was not initially ruled upon. Instead, the trial court set the case for trial. Eventually, however, the attorney’s motion was granted, and the husband was given fifteen days to hire a new attorney. Trial was set for October 31, 2017, and this order stated that there would be no more continuances. The wife and her attorney appeared for trial, but the husband did not appear. The trial proceeded, and the wife presented her evidence. The court granted the wife a divorce based upon the husband’s inappropriate marital conduct, and divided the property. The wife was named the primary residential parent, and the wife was awarded child support and attorney’s fees. Eventually, the husband made a motion to set aside the divorce. He argued that he thought his attorney was going to have the trial continued. This motion was denied, and the husband appealed to the Tennessee Court of Appeals. The appeals court first looked at the governing rule, which allows for relief in cases of mistake, inadvertence, surprise, or excusable neglect. The husband had attempted to hire a new attorney, but hadn’t paid the new attorney’s retainer until the night before the trial. The appeals court also pointed out that he had read the portion of the order noting that there would be no more continuances. After reviewing the evidence, including the testimony of the husband and the new lawyer, the Court of Appeals agreed with the lower court that the husband had willfully failed to attend the trial. 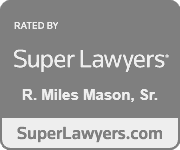 Despite the husband’s failure to appear, the appeals court did go on to review the rulings made at the trial, such as division of marital property, and the calculation of child support. Finding no errors, it affirmed these rulings. No. M2018-00361-COA-R3-CV (Tenn. Ct. App. Oct. 9, 2018).